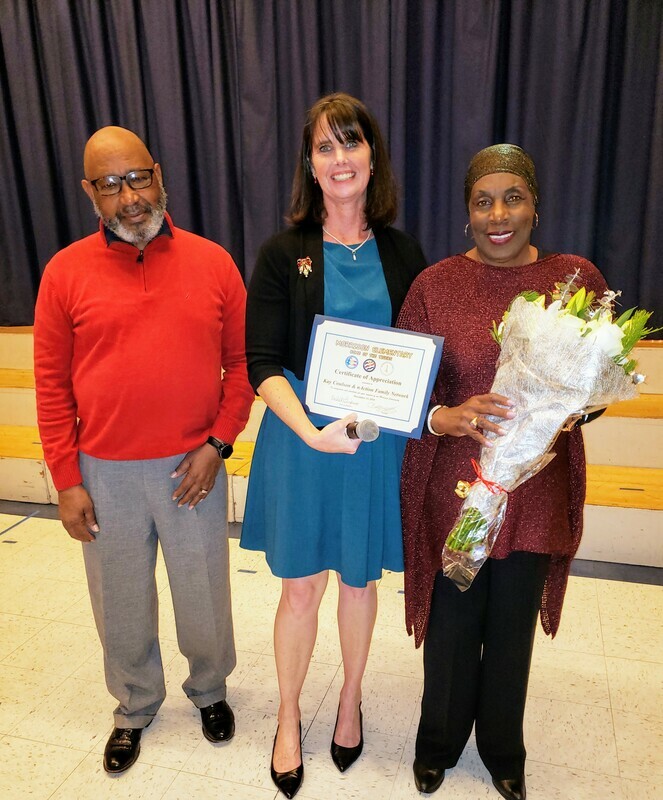 Kay Coulson receiving flowers and a certificate of appreciation. 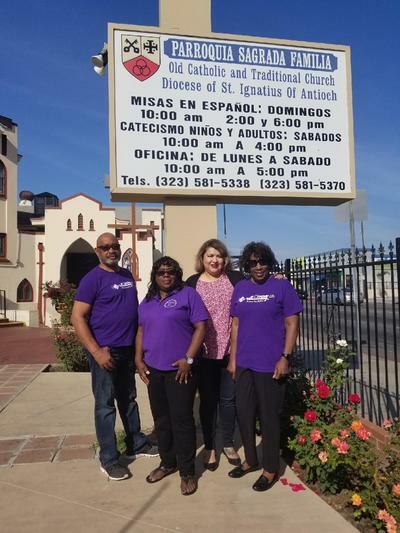 U.S. Vets in Long Beach with Brenda Threatt, Program Director. Girl Scouts received their Bronze Award for their community service and helping n-ACTION with the "Kindness Project". 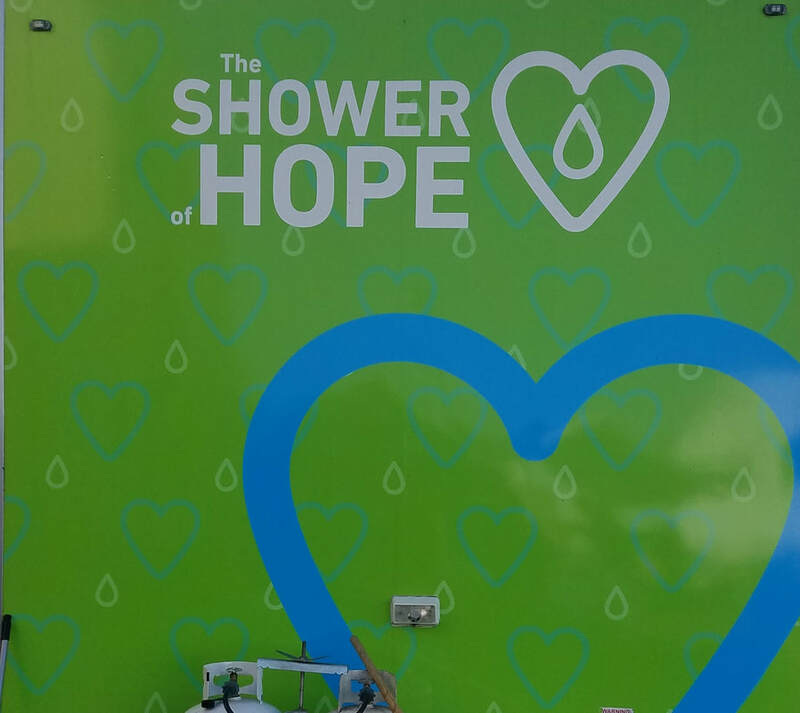 The team is hard at work! 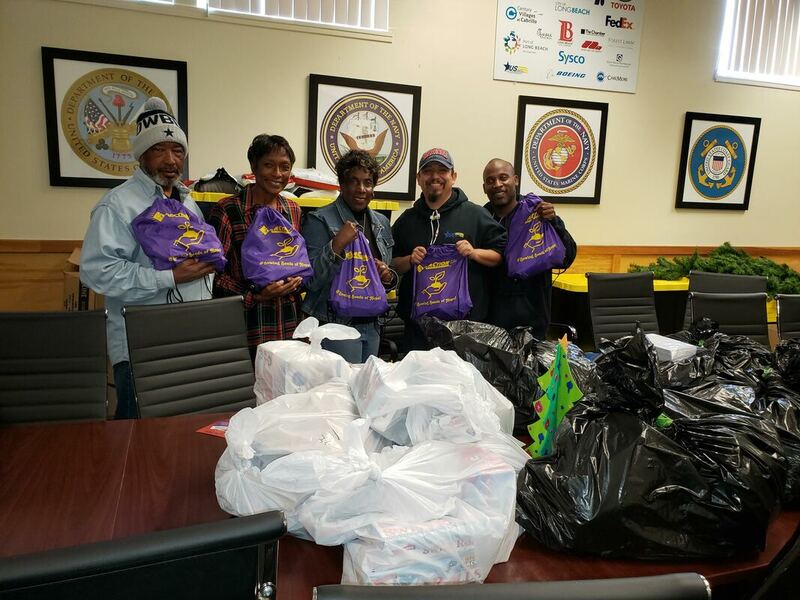 Doing good to make a difference for our homeless neighbors. 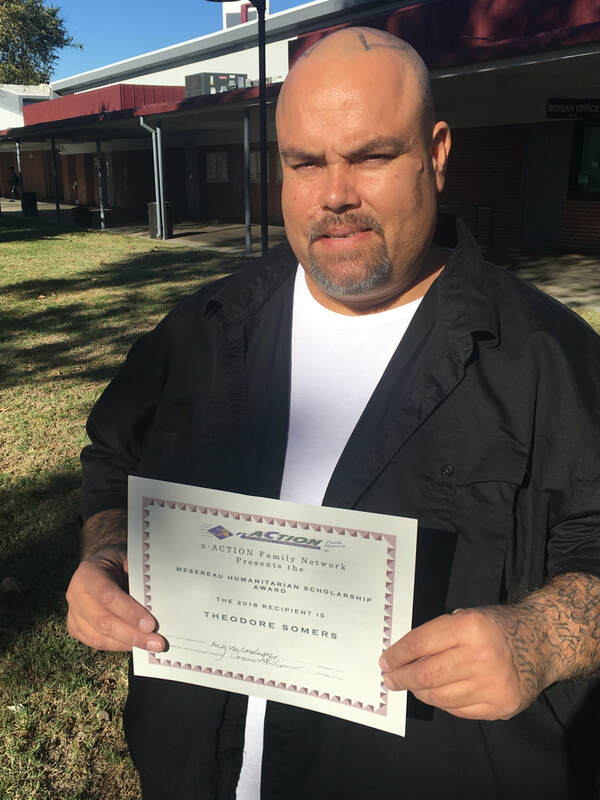 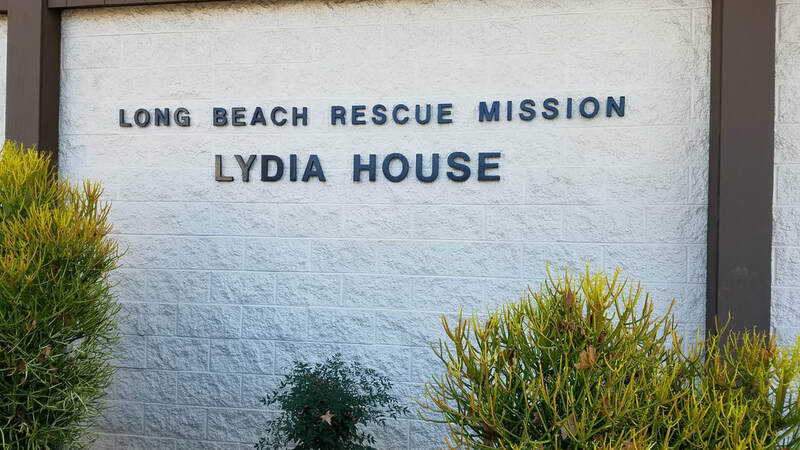 Donated 22 hygiene bags to Lydia House on November 5, 2018. 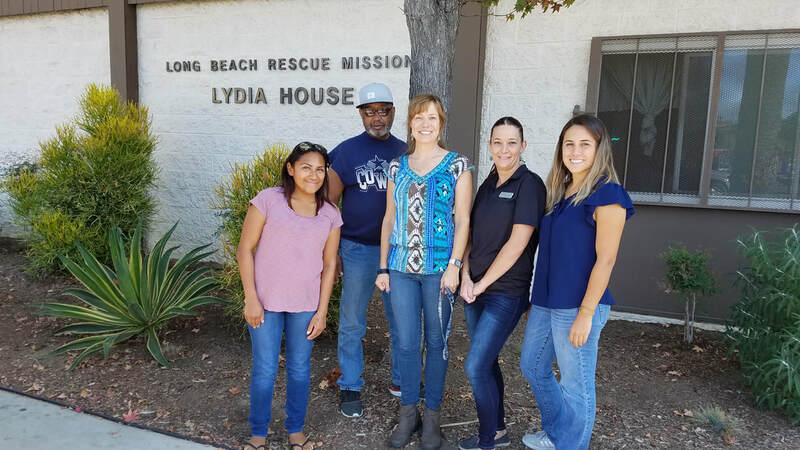 Pictured: Lydia House Staff, Thomas Coulson, Tonya Hubbert, and Volunteer. 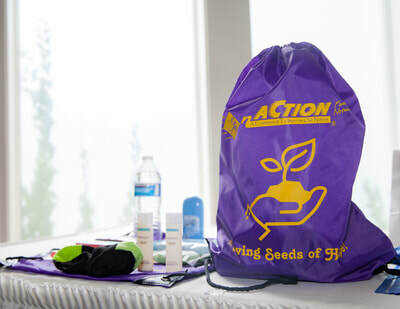 n-ACTION Family Network partnered with The Whole Child, donating 25 hygiene backpacks to the "Showering and Homeless Program" at Familia de La Parroquia Church in Huntington Park. 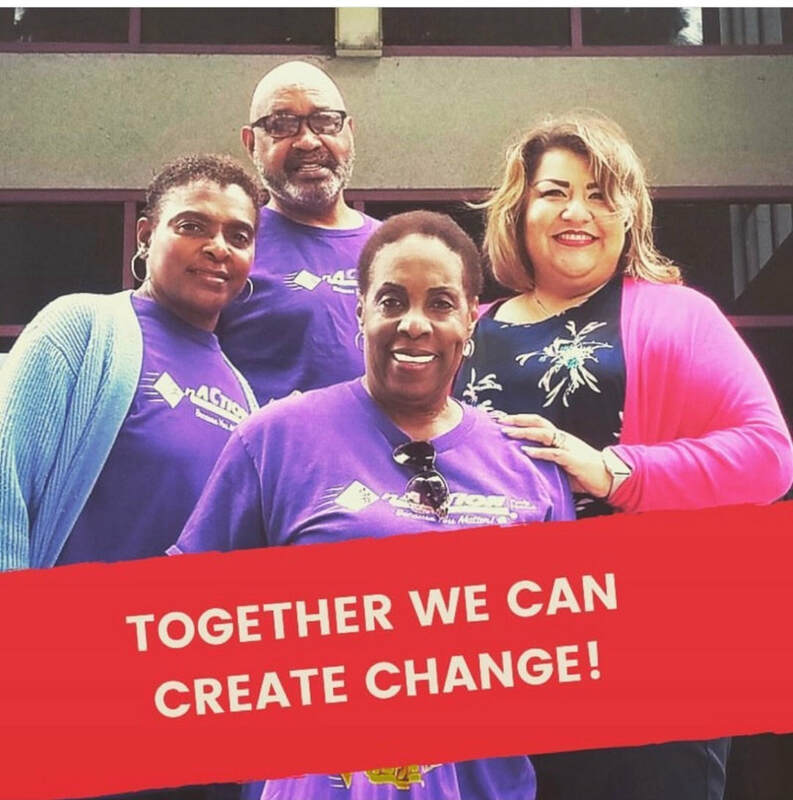 Picture: The Whole Child Case Manager, Thomas Coulson, Constance Leathers, and Vanessa Sedano, Executive Director, The Whole Child. 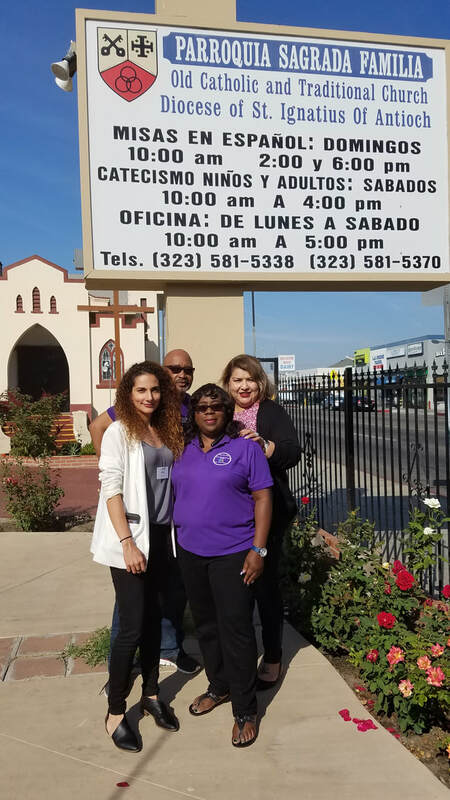 The Whole Child Housing Director, Vanessa Sedano, joined forces with partners in Whittier and n-ACTION Family Network. 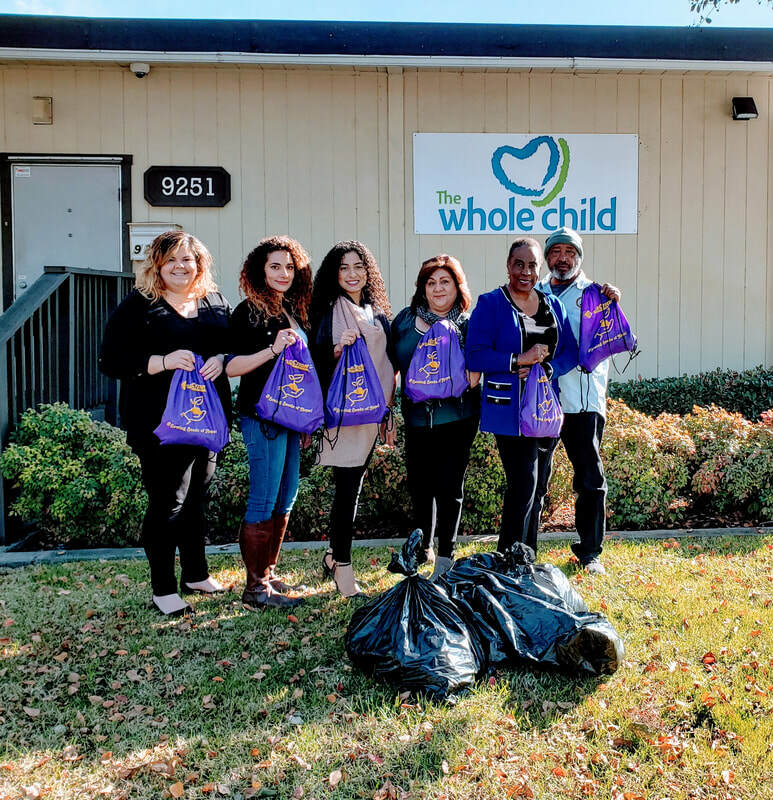 Together they delivered 30 hygiene bags to The Whole Child families residing in crisis housing. Pictured here with Vanessa is Kay Coulson, President & CEO of n-ACTION Family Network, and her husband, Rev. Thomas Coulson, and Vice Chair, Beverly Sapp. 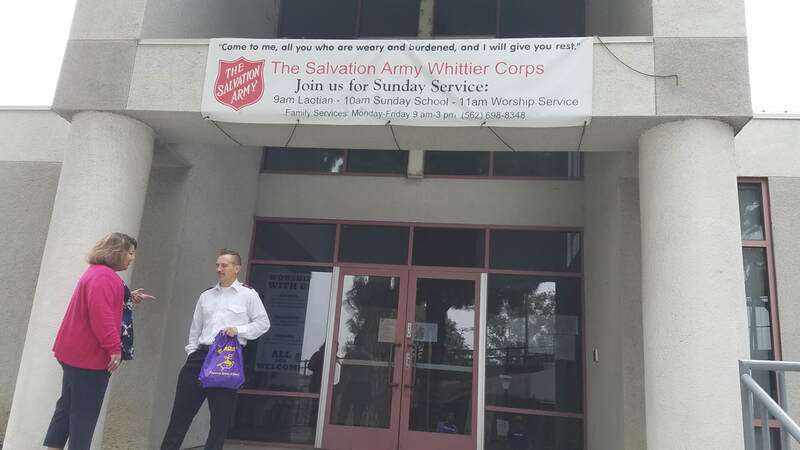 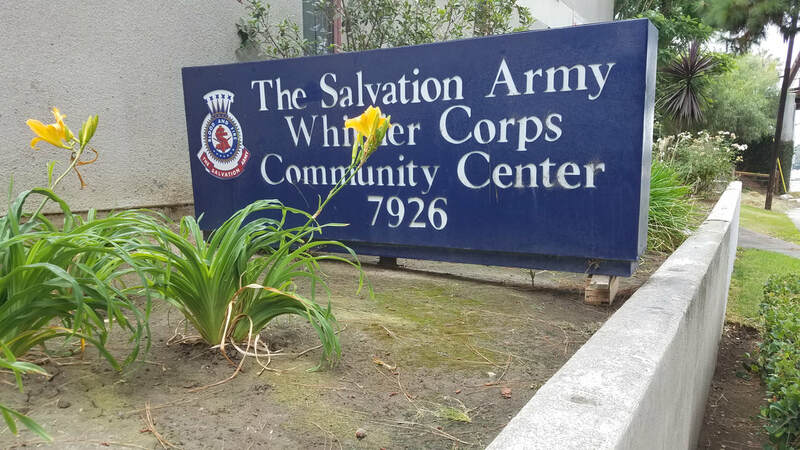 Hygiene bags were also delivered to the Salvation Army and several local surrounding areas. 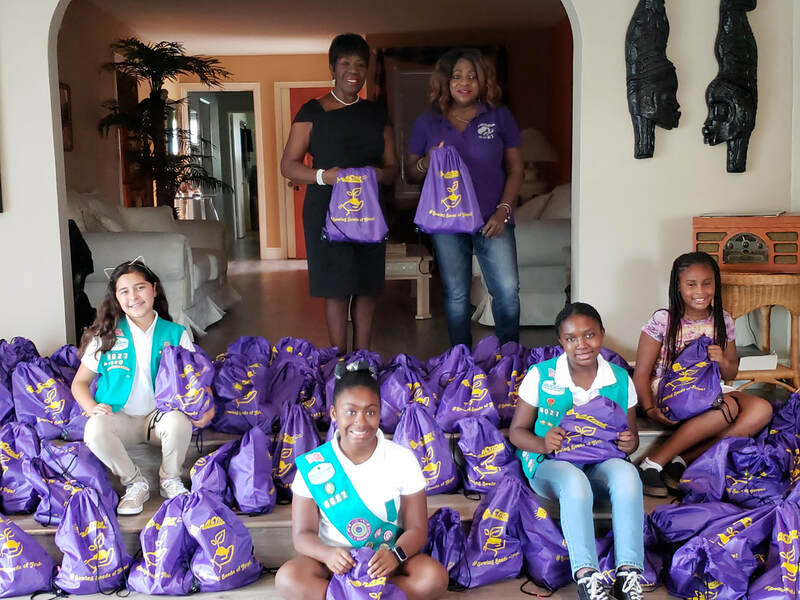 Girl Scout Troop #6027 partnered with n-ACTION Family Network to fill hygiene care bags to deliver to organizations supporting homeless families. 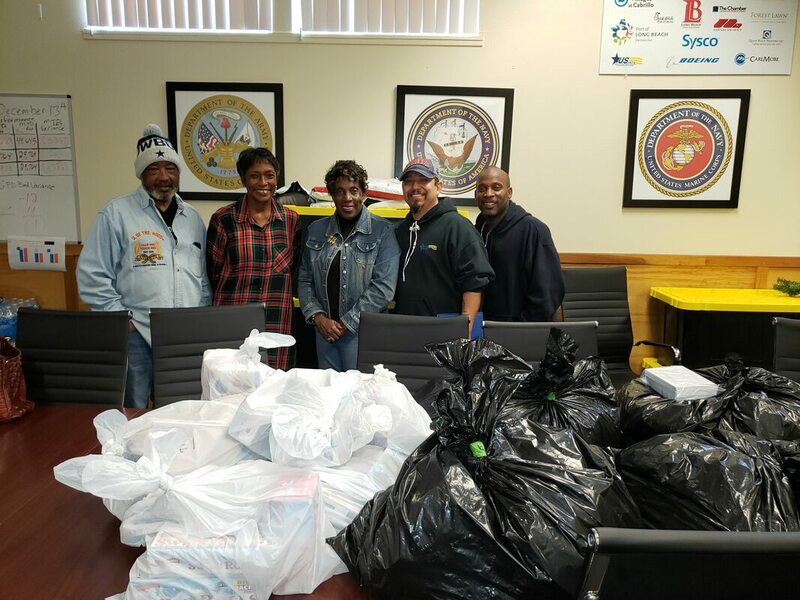 Pictured: Willie Burton, Parliamentarian, and Jessie Harris, Treasurer for n-ACTION Family Network; and Joycelynn Morgan, Synai Bryant, and Sophia Fuentes from Troop #6027.